While some styles of music go in and out of fashion, fashion hasn’t been especially kind to classical music. No thanks to that pesky nine-letter adjective, which carries more stigma than “polka” or “folk,” the genre is generally perceived as something that falls outside the scope of so-called normal music; an uptight elitist pursuit that calls to mind gray hair, cummerbunds and loads of disposable income. Given the average ticket prices to many classical concerts, there’s some truth to the latter. And as disposable income has shrunk since the start of the economic crisis in 2007, symphonies have witnessed a concomitant downward trend in ticket sales. Which means the challenge faced by outfits like the Spokane Symphony is now twofold: part perception, part economics. The symphony has been adapting to the times by plunging into social media. It now boasts 2,656 Facebook fans and around the same number of Twitter followers. One year ago, it debuted a short Casual Classics concert series that turned social media into a creative exercise. The symphony asked audiences to envision Facebook pages for Beethoven, Mozart and Schubert by playing pieces from the composers’ friends and contemporaries. Fun ideas like the Facebook-themed concerts emerged from the organization’s rather dry-sounding Revenue Generation Innovation Task Force. The Casual Classics concert series clearly had youth appeal, but organizers wanted to reach an even broader demographic. So they developed Symphony with a Splash series, which Nienhouse describes as a “happy-hour-type format” that gives people a convenient way to end their working week with a one-hour concert in the early evening. For the past three years the symphony has also been partnering with Arbor Crest Wine Cellars to hold Soirees on the Edge, another concert series that offers a relaxed alternative to indoor events by featuring “more cutting-edge music” written by contemporary composers. “What’s fun about that series is that the setting is just so beautiful. In the evening as the concert is going on, the sun sets over the city and the lights of the city come on,” says Nienhouse. The Soirees on the Edge are deliberately aimed at a different crowd that the one that will likely attend Video Games Live, a visual spectacular that, as the name suggests, will highlight music from popular video games. But social media outreach and diverse content only address perception. 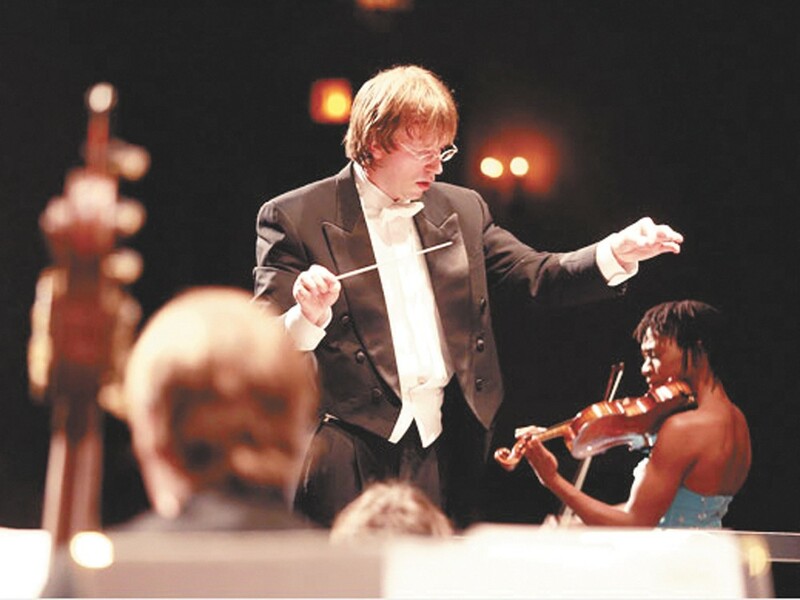 When it comes to economics, the Spokane Symphony has created initiatives like the Club Maestro program. It gives 21- to 36-year-olds the chance to pay just $15 for quality seats at select concerts. All these measures seem to be having the desired effect. In 2012, the total number of Spokane Symphony concertgoers increased by 4,450 — a 13 percent year-on-year increase at a time when full economic recovery is still a ways off. It will take a few years to determine how much novelty is necessary to sustain that sort of growth, but any increase at all shows that the symphony has been able to rise to the challenge.